Opposition Senator Saddam Hosein speaks in the Senate on Tuesday. DAYS after Attorney General (AG) Faris Al-Rawi called for the revoking of the law degree of Saddam Hosein, the Opposition Senator was stoutly defended by Opposition Leader Kamla Persad-Bissessar. Al-Rawi had been upset that at a news briefing Hosein had suggested that the Income Tax (Amendment) Bill 2018 would allow people's tax-details to be exchanged between TT and foreign governments for cases as trite as "a cuss case." 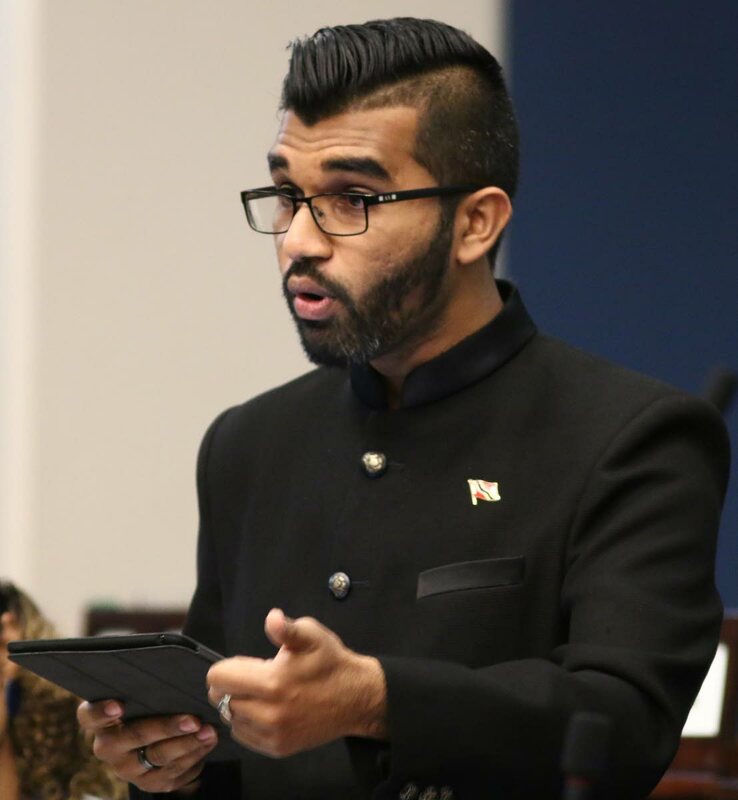 The AG insisted the bill only applies to serious crimes such as money laundering, alleged Hosein's remarks meant he could not be taken seriously as an attorney and said his law degree should be revoked. Hosein said he was very disappointed in the AG's remarks. Persad-Bissessar leapt to Hosein's defence on Wednesday speaking in the House of Representatives debate on a bill to vest Petrotrin's assets into successor firms. "The Member for San Fernando West (Al-Rawi) talks about people intellectually lazy. Well I want to say to him – leave Senator Saddam alone!" she stormed. "They should revoke your law degree and revoke your appointment as Attorney General because you are the mastermind, the drafter of this Bill that is before us. And you cannot even do that effectively." In a recent Facebook post, Hosein recalled being called to the Bar four years ago. Reply to "Kamla defends Saddam"